In advertising, the most effective way to share your message is by following the KISS principle. The KISS acronym stands for “Keep it simple, Stupid.” Not the nicest message, yet it’s very appropriate since being direct and easy to understand is the foundation of this principle. Be short and sweet. Use brief statements to describe your product’s benefits, a short slogan, a direct call to action and an easy to remember web address. Lead with your most compelling offer; don’t save the best for last. While you may have 30 seconds to tell your story, it’s important to grab the viewers’ attention off the top. Your ad should focus on your Unique Selling Proposition (USP). A common mistake among advertisers is to try to squeeze in as much information as possible into 30 seconds, but that’s a waste of precious time. Focusing on what sets you apart from your competitors is what will convince your customers to pick you over the rest. Don’t let the joke be on you! Humor is hard to pull off, and you might waste valuable time setting up the joke. Rather than trying to make your perspective customers laugh, focus on telling them why they should buy your product or service. Features tell; benefits sell. Instead of listing all the features of a specific product, explain the benefit of those features to the customer. Using the KISS principle is the best way to tell your potential customers about your business. Just keep it simple, stupid, and you will out smart your competition! 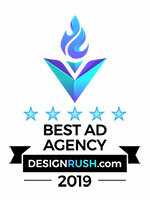 If you’d like some help developing your next campaign, feel free to reach out to us here at The Rogers Agency.